Today, we have rounded up the best deals that Flipkart is offering on audio devices such as Bluetooth speakers and headphones. 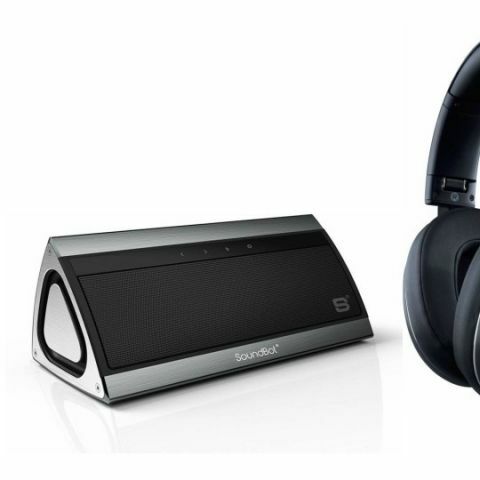 Today, Flipkart is giving away up to 80% off on audio devices. These include brands like JBL, Zoook and more. We have handpicked the best deals the platform has on products like Bluetooth speakers, and on-ear headsets. The Zoook ZB-rocker is a wireless music streaming device that works within a range of 33 feet from a connected device. The speaker comes with a rechargeable battery, which as per the company, can provide up to eight hours of music playback in one go. Click here to buy. The MarQ is an over-the-ear wireless headphone that comes with a built-in mic and ear cup mounted controls to manage music, calls, and volume. The headphone features active noise-cancellation, which the company claims can reduces up to 96% of outside noises to provide a better listening experience. Click here to buy. The SoundBot SB 521 is a wireless Bluetooth speaker that comes with a built-in mic, which allows you to answer calls when your phone is connected to it. The speaker features LED backlit touch-sensitive buttons that can be used for changing tracks, answering a call and managing volume. As per the company, it has a battery life of up to six hours. Click here to buy. The Skullcandy Jib Wired Headphone is compatible with a wide range of devices such as smartphones, tablets, and more. The headphone comes with 10mm neodymium driver and has an impedance of 16 ohms. Click here to buy. The JBL Red Wired Headset comes with a one-button remote and a built-in microphone for managing calls and audio tracks. The headphone features a tangle-free flat cable that shouldn't let your wire tangle up in knots. It also comes with a carrying pouch that protects the headphone from getting lost or damaged. Click here to buy.